As you all know, I'm always on the lookout for the perfect skincare treatment what with me on a constant battle with my zit zone. Though it has considerably tamed since the last time I've talked about this, the fact is that acne still breaks out on my face. Its disheartening. Now I'm seriously thinking if I should really invest in Proactiv. I've seen it and heard about it but I have never tried it. Justin Bieber for Proactiv--definitely makes sense! After all, he is still a teenager who still undergoes the same skin problems just like all the other teens out there. For clear skin, Justin Bieber uses the Proactiv 3-Step System Products which comes in a 30-Day Kit and in a 60-Day Kit. The website states that as a CombinationTherapy™ system, Proactiv Solution doesn't just clear your acne but also helps prevent pimples from coming back! I know that sounds too good to be true right? 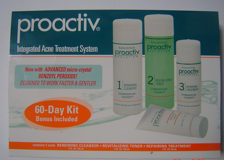 But Proactiv takes acne seriously, so seriously that they have a Money Back Guarantee if you don't get Clear Skin. I guess this is what makes Proactiv different from all the other skin care products out there. If they have enough confidence in themselves to guarantee our money back if it doesn't work, surely Proactiv is indeed worth the try eh? Anyway there's good news for all Bieber fans out there. Proactiv Solution is joining the Bieber Fever this August to October and they're giving away the much talked about Justin Bieber's Girlfriend Perfume and Laptop Case. All interested buyers have to do is purchase their Proactiv Kit so they will get the chance to win these exciting items. Door to Door Delivery Hotlines Door to Door delivery Hotlines (729-2222, 1-800-8-729-8888, 1-800-10-889-4444, 0917-801-8888), customer’s given Account Name as per Proactiv’s official Customer Database shall be entitled with the raffle entry. Proactiv Mall Kiosks at Glorietta, Ground Floor; Trinoma, 2nd Floor; Robinsons Galleria, 3rd Floor; and Marquee Mall, Ground Floor. For Proactiv Mall Kiosk purchases, customer must fill-out the Official Raffle Entry Form with the following details: Customer Name, Customer Address, Customer Contact Number, Product Purchased, Date of Purchase, OR Number, Signature of Customer, and Signature of Promodizer. All Watson's outlets or SM Department Store Branches. *** Top American Products Solution Inc must receive the entry before the raffle date, October 19, 2012. All entries received after the raffle date will be automatically disqualified. 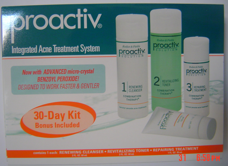 Customer must buy any of the participating Proactiv kit SKUs within the prescribed promo period. Purchases of Proactiv Kits outside the promo period are not eligible to have a raffle entry equivalent. If a customer avails of the standard limited Money back Guarantee that comes with every Proactiv 30-day or 60-day kit, this forfeits the subsequent activation of his or her raffle ticket entry. If the customer won and subsequently availed of the Money Back Guarantee after claiming the prize, the actual cost of the perfume and the laptop bag will be deducted to the refund value. • The Prize is not convertible to cash and or other Proactiv products. • Winners from Metro Manila must personally pick up the prize at Top American Products Solution, Inc office (17th Flr. Tower 2, RCBC Plaza, 6819 Ayala cor. Gil Puyat Avenue, Makati City Philippines) and present a valid ID and official receipt upon claiming. 2. Customer must attach to this email a scanned copy of any Government issued ID, plus a close-up photo to be used for future Proactiv Solution marketing materials. 3. They need to provide the correct mailing address. Top American Products Solutions Inc. will shoulder the mailing expense for the prizes. Any return to sender event will forfeit the prize. 4. Failure to comply with all of these conditions for winners outside Metro Manila will cause forfeiture of prize without further notice.